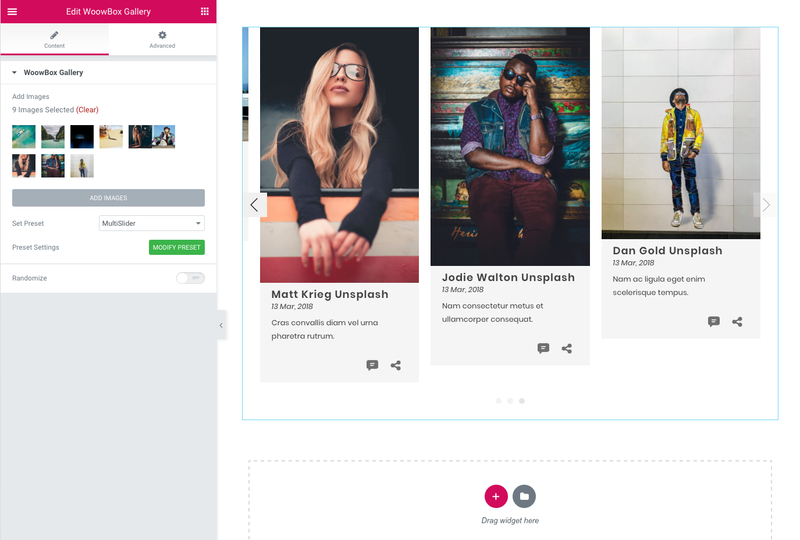 Works with Elementor Page Builder. Perfect gallery for AJAX WordPress Themes. 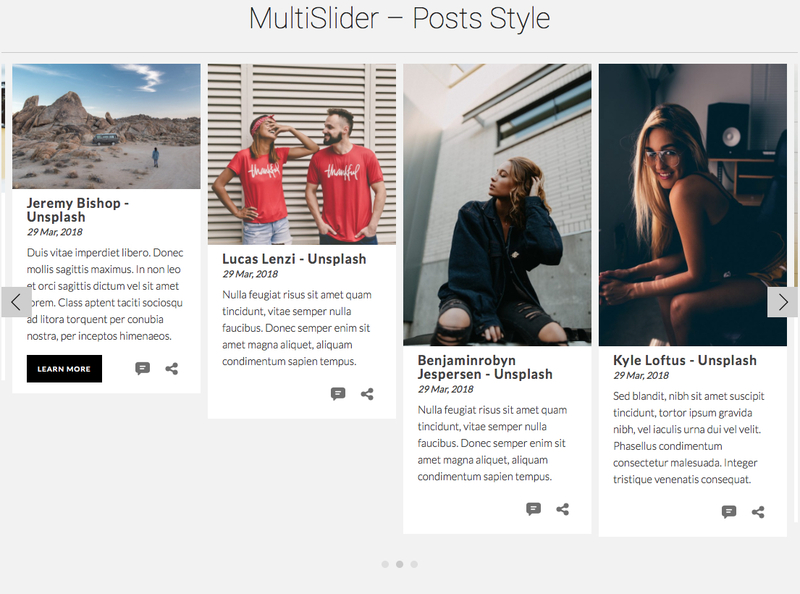 Compatible with all themes and SEO optimized gallery. Doesn’t break your Posts: even if you uninstall the plugin your galleries automatically reverted back to default WordPress gallery look. 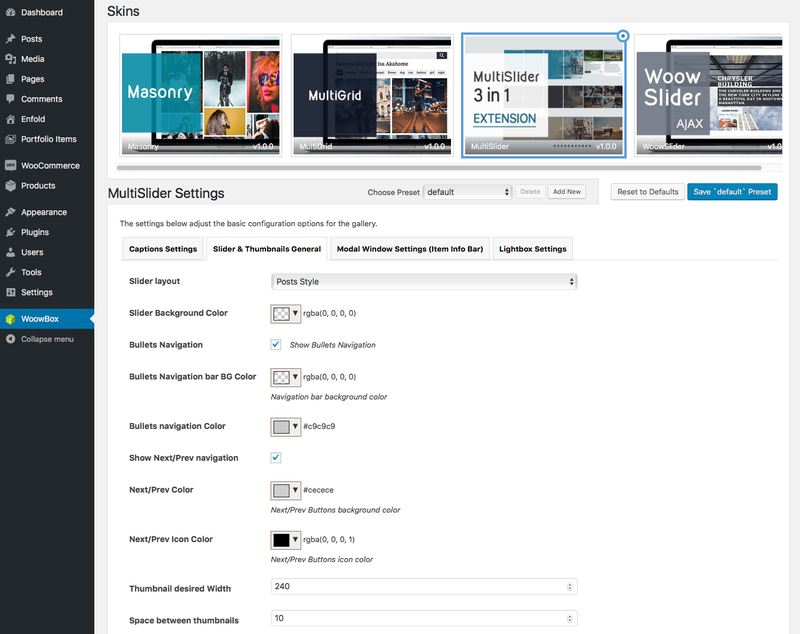 Built on top of the latest technologies, WoowBox Gallery Multi Slider is multi-gestures compatible, smooth and performant! Easily navigate with one or several fingers on your smartphone. Swipe, drag and pinch content naturally like with a native mobile swipeable view. It also supports navigation with keyboard or mouse wheel to slide or zoom. 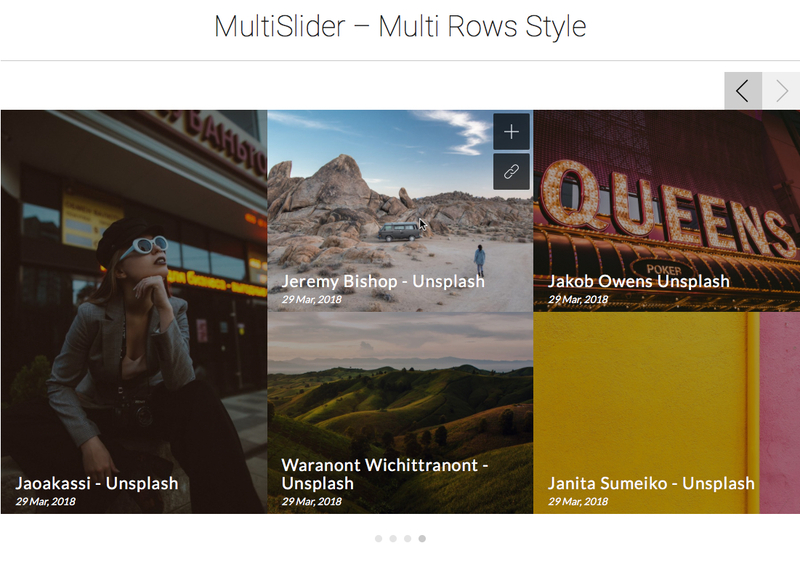 Extend WorPress Gallery options with WoowBox Gallery, after installing, some new settings will be added to Gallery Settings allowing you to take control over the look and feel of your WordPress gallery. Installation of main WoowBox Gallery plugin. 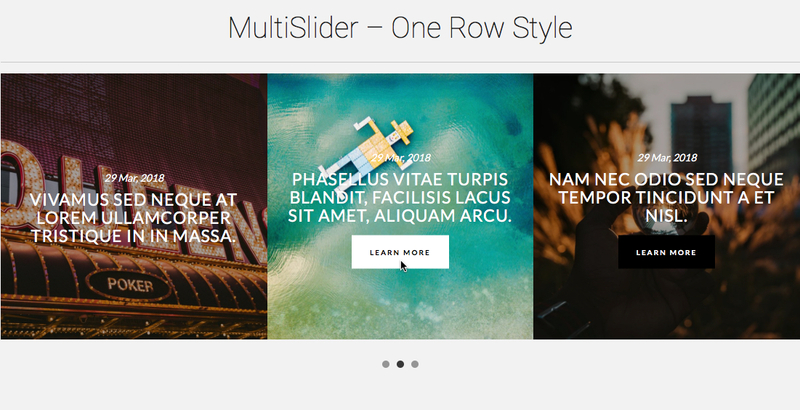 How to install Multi Slider Gallery extension. How to add a link URL for each image.